This entry was posted in Movies, Podcasts and tagged Apocalypse, Film Reviews, Films, Hodgepodge, Marvel Comics, Movie Reviews, Movies, Podcast, Reviews, sequel, X-Men. Bookmark the permalink. This entry was posted in Comic Books, Movies, Reviews and tagged Apocalypse, Film Reviews, Films, Hodgepodge, James McAvoy, Jennifer Lawrence, Michael Fassbender, Movie Reviews, Movies, Podcast, Reviews, Wolverine, X-Men. Bookmark the permalink. 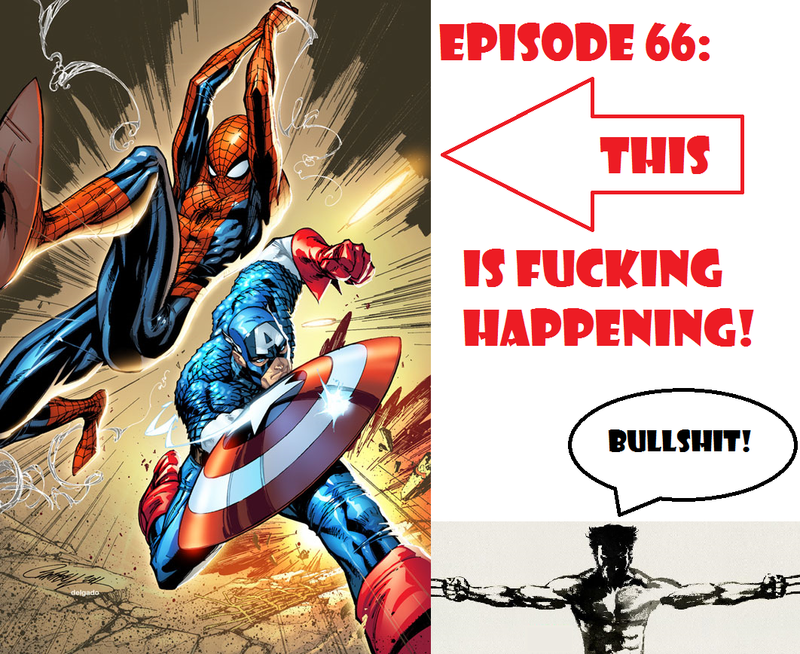 EPISODE 08: TRAILERS LOST IN TIME! This entry was posted in Crossover Podcast and tagged Apocalypse, Batman v Superman, Captain America, Civil War, Comic Books, Film Reviews, Films, Hodgepodge, Movie Reviews, Movies, Podcast, Star Wars, Superheroes, Teenage Mutant Ninja Turtles, X-Men. Bookmark the permalink. EPISODE 07: LIGHTEN UP, HONKIES! This entry was posted in Crossover Podcast and tagged Crossover Podcast, Fantastic Four, Film Reviews, Films, Hodgepodge, Hulk, Marvel Comics, Movie Reviews, Movies, Podcast, Star Wars, Thor, X-Men. Bookmark the permalink.